Aberg/Lewis/Roesnes; Allter/Esty; Bacharach/David; Bahler; Barry/Gray/Higgins/; Barry/Taylor; Barry/Taylor/Torch;... Very Good. In very good packaging. Cher-Cher-Gold (NEW 2CD) by Cher. Aberg/Lewis/Roesnes; Allter/Esty; Bacharach/David; Bahler; Barry/Gray/Higgins/; Barry/Taylor; Barry/Taylor/Torch;... Fine. In fine packaging. 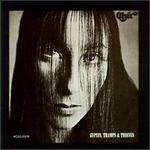 Cher-Cher-Gold (NEW 2CD) by Cher.